Mea Vita: Carpe Diem: What Makes Apple Unique? 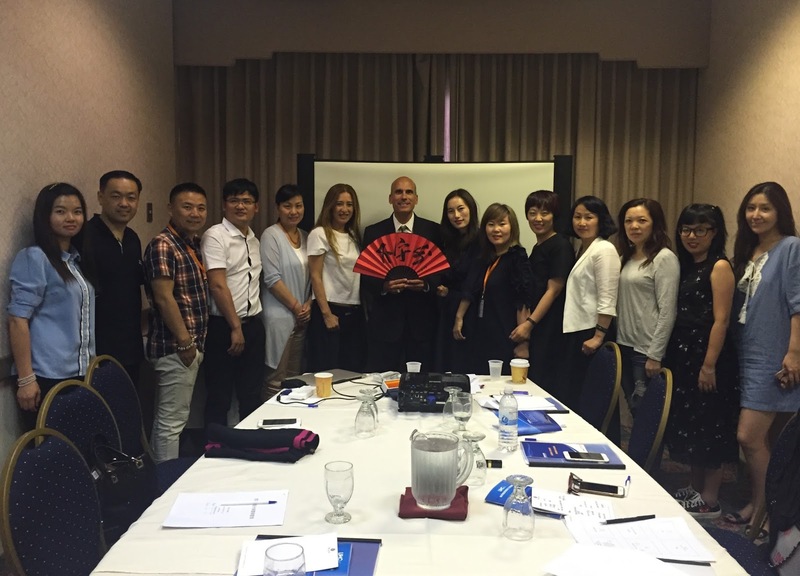 Presented with a gift of a Chinese fan stamped with their company logo. I was recently invited to the Bay Area to give a talk to a group of business people from China about Apple's marketing and design philosophies. Putting together the presentation was simple, since I've written and discussed what makes Apple unique, in the past. The interesting part was speaking through a translator – a first, for me. 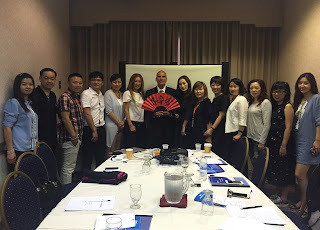 I'm not sure exactly what the translator said when she introduced me, but the group seemed impressed. The best part of this gig was how quickly it came together. A woman I never met contacted me on a Tuesday and asked me if I was willing to fly up the following Tuesday to give my talk. When I agreed, she immediately transferred half the payment to me. She paid the second half to me at breakfast, before I spoke. No contract, SOW, schedules, or exhibits. It worked out so well that we'll probably do it again. I can get used to this. What's Exciting About High Tech?